Age spots can be considered unsightly and therefore bothersome. There is now an effective solution: Spotner - an age spot fading innovation. Its unique Appli-pen™ allows precise application to fade age spots effectively. Improvements are visible in just a matter of weeks. Spotner Pen is an over-the-counter cosmetic product, which is safe to be used on hands, chest, face, shoulders and any other area that has developed age spots (avoid contact with eyes and mucous membranes). The handy Appli-pen™ promises an easy, precise and quick application, in contrast to other products that are only used on large surfaces. Spotner contains a unique combination of ingredients that safely help to reduce the pigmentation. The formation of new age spots will be prevented by the use of SPF 50 UV (A+B)-Filters in combination with different lightening substances. Old age spots are removed by the action of alpha-hydroxy acids that help to increase the renewal rate of the skin: removing the old age spots, and giving a smoother, younger appearance. Alpha-hydroxy acids have been used for centuries for a younger appearance of the skin. Studies have shown that alpha-hydroxy acids are able to reverse the effects of photo aged skin¹. 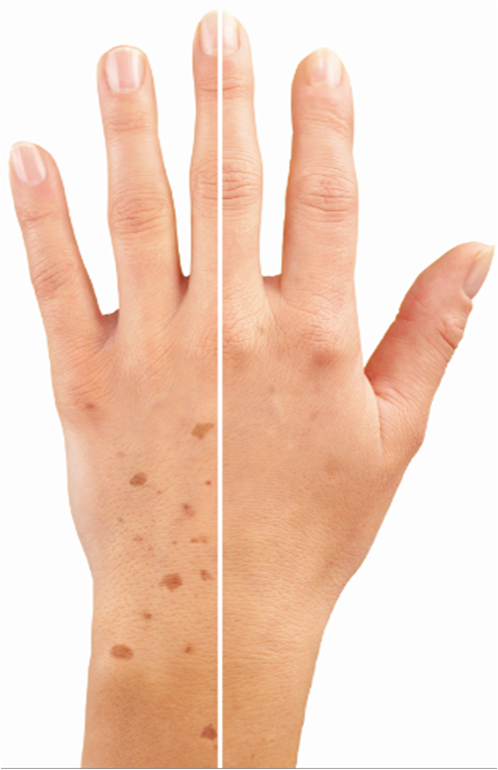 Spotner Appli-pen™ can also be used on other types of unwanted temporary pigmentation including blemishes caused by hormonal changes, such as pregnancy. Dermatologically tested. 1. Cleanse skin thoroughly before applying Spotner. 2. Apply Spotner twice a day e.g. mornings and evenings, over a period of at least 2-3 weeks or until pigmentation is no longer visible. It is not necessary to apply added pressure during application. 3. Let the cream dry thoroughly before applying other products (such as moisturisers, sunscreen etc.) on the affected skin. 4. Re-cap the Appli-pen™ tightly after each use. 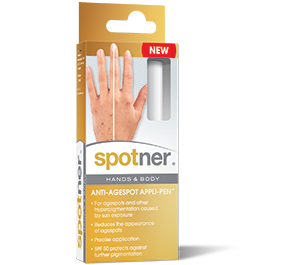 The innovative design of Spotner's Appli-pen™ allows precise application on age spots and pigmentation. For more detailed information please check out the Spotner Leaflet or product packaging. Aqua, Octocrylene, Glycerin, Ethylhexyl Methoxycinnamate, Methylene Bis-Benzotriazolyl Tetramethylbutylphenol, C12-15 Alkyl Benzoate, Steareth-2, Cetearyl Alcohol, Bis-Ethylhexyloxyphenol Methoxyphenyl Triazine, Undecylenoyl Phenylalanine, Alpha-Arbutin, Salicylic Acid, Lactic Acid, Citric Acid, Tartaric Acid, Steareth-21, Decyl Glucoside, Xanthan Gum, Sodium Hydroxide, Alcohol, Tocopherol, Potassium Cetyl Phosphate, Dimethicone, Primula Versis Extract, Achillea Millefolium Extract, Mentha Piperita Leaf Extract, Malva Sylvestris Extract, Alchemilla Vulgaris Extract, Veronica Officinalis Extract, Melissa Officinalis Leaf Extract, Propylene Glycol, BHT. 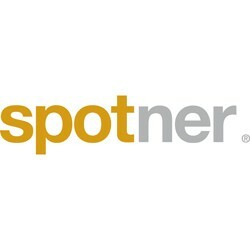 Thanks for the opportunity to try spotner, but I wouldn't buy it, because it didnt work for me and is expensive! Didn't notice any change, pen was fiddly at first. I thought this would be a good easy to use concept, however I did not see any difference. I used this on dark patches I got from pregnancy and after using the whole pen, there was no change whatsoever. The pen was easy to use however at first it took a while of faffing to get the product out. Wouldn't recommend it for pregnancy marks as it did nothing for them. White cream, easy to see application on skin. This twist/pump application is decidedly fiddly at the start up..more twists than expected before products actual appears on the sponge. I decide to start using this product, which I got to trial, once I knew I could dedicate time to using as require. I applied at night, which was easy ( after getting the applicator pen to dispense the cream, an endless process of twist and click, infact I began to think my application pen was broken)the cream has a slight silky texture in its appearance. It's also white, which does help in seeing the placement of the cream on the skin, I imagine clear gel would have been less effective. It's hard to say just how much you should put on each spot or area. I decided to be cautious, as I didn't want any irritation. The cream is smooth, no scent, and blends in really well, however it does sit on the skin until dry, with a sheen that comes across as silky like the texture. Using it at night, was easier as I normally read, therefore allowing it to dry. Daytime application is more complicated, due to normal day to day routines, my hand always seem to be in water or cleaning, or lifting and laying. This makes the drying more complicated as it tends to take a while and therefore can end up being rubbed of if a residue is still there. So far my 'age spots' are few, but they seem gentlier in colour..or maybe I am seeing more of a result than may actually exist. None the less I will continue till the pen is finished, which will be sometime away as not much is needed, so hopefully with the treatment and the spf 50, 'age spots' will be paler and not resurface. As for price, alittle pricey, only time will tell if its worth it. My first impression when I received this was mixed. I really liked the easy to use, pen like applicator - you simply twist the top and the product comes out at the other end through the foam tip. You just dab on affected areas to apply. I did not like the packaging or branding so I took the plastic sleeve off the pen and it was just a clear tube with the white product clearly seen, which looked much nicer among my other products. I think the name and branding is a bit naff and teenager-ish, but that's just my opinion. It says to apply on cleansed skin and once the cream is dry you can apply your usual moisture on top. This is where I had issue. For me this did not sink in at all. If I just dabbed the product on it sat there (for hours) as a shiny, sticky mark. After a few days of this I applied as usual but then rubbed in into my skin thoroughly. Even after this it still left a slightly tacky sheen wherever it had been applied. I didn't like this. It also smells, to me, like PVA glue and it certainly was very sticky. This didn't bother me as you can't smell it on the skin once applied, but thought it worth mentioning. I used this morning and night for the first couple of weeks. As I really didn't like the shiny marks it would leave I then used it for the last couple of weeks just before bed on bare skin. All in all the amount of product lasted just under 4 weeks for me. The results are slight but not remarkable enough for me to purchase again, even with the generous discount. I also used this is conjunction with Garnier's Anti-Dark Spot Moisturiser and Nivea's Age Spot Moisturiser so I think the combination of all products has seen an overall improvement, albeit slight. I've really enjoyed trying this, however, I still have brown sun spots so I continue my search for something to remove them.